Robert Denton has been selected as the Deputy Probation Administrator for Community-Based Programs and Field Services Division effective March 1, 2019. He joined Probation in 1989 as a probation officer in Omaha. He later served as Chief Deputy and Chief Probation Officer in District 6 (Fremont) before joining the Administrative Office of Courts and Probation in October 2016 where he served as Assistant Deputy Probation Administrator. Denton is highly engaged at the administrative level, serving as one of the co-chairs for the AC4E team, a member the Nebraska Supreme Court’s Language Access Committee, Office of Dispute Resolution Committee, and the Nebraska Statewide Diversion Committee. 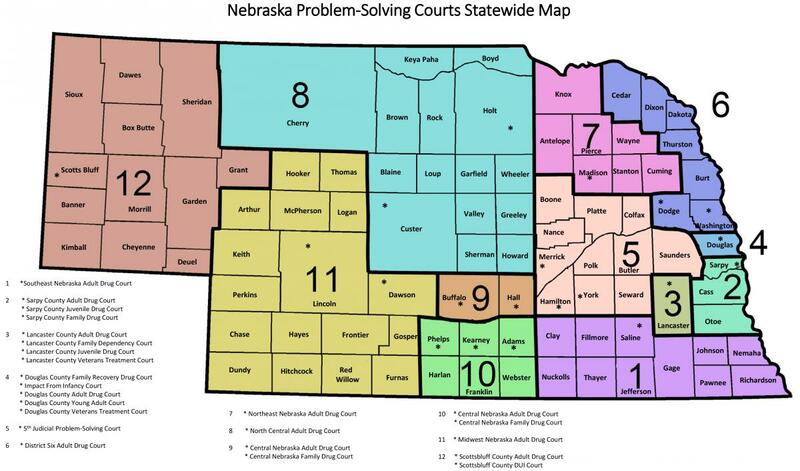 Denton is also a strong advocate for Problem-Solving Courts having helped set up the first court in the 6th Judicial District and serving for a brief period as interim Statewide Problem-Solving Courts Coordinator. He graduated from Midland University with a Bachelor's Degree in Behavioral Science, from Bellevue University with a Master's Degree in Human Services, and UNO’s Certified Public Manager’s Program.